Whether manufacturers like it or not, it's a different world out there, one where handset makers are increasingly pressured to take the growing price-conscious niche of the market more seriously than ever. 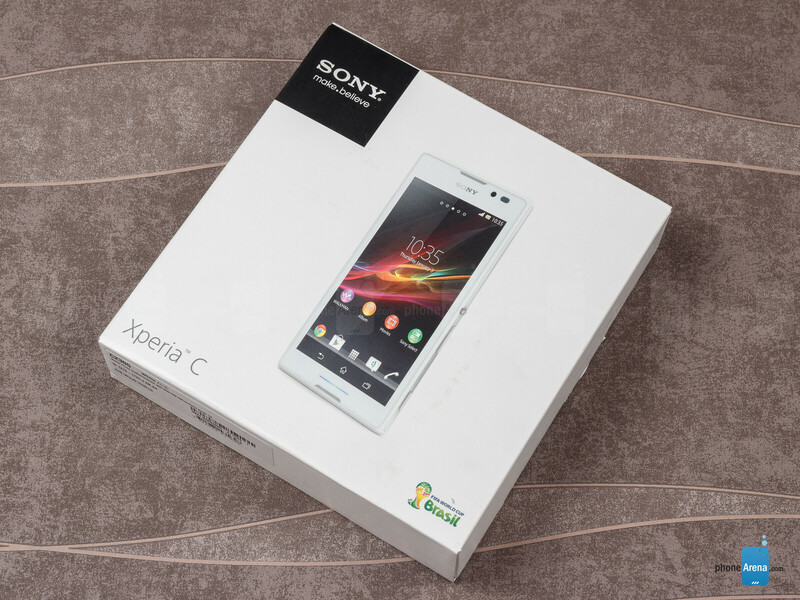 Sony seems well aware of that, and the Xperia C is the logical next step in its playbook. This dual-SIM 5-incher is priced competitively, no small thanks to its MediaTek chip inside, and is aimed at the mind-numbingly large crowd in Asian markets, and elsewhere, where demand for big-screened devices on a budget is massive. And though you can get your hands on something even cheaper than the Xperia C, extras such as Sony's brand cache, along with its proprietary software and attractive design may just be enough to tip the scales in favor of the phone. Let's find out! 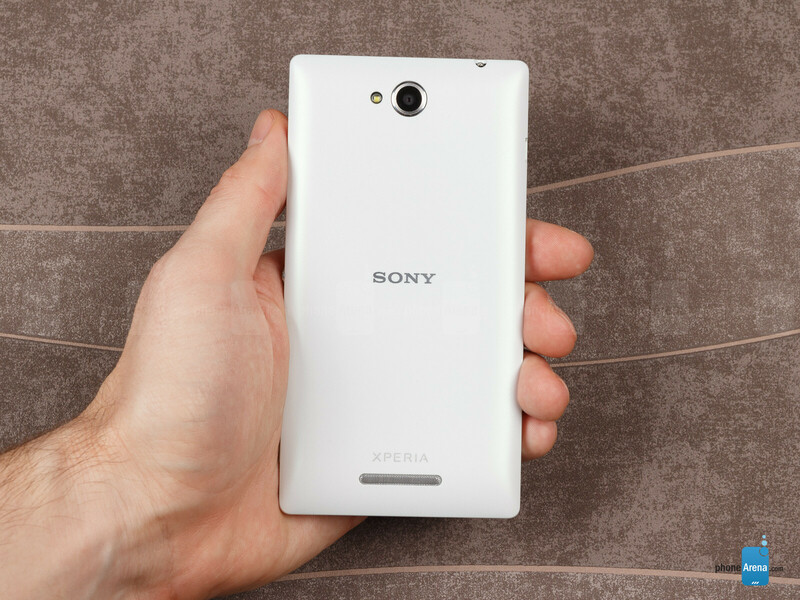 Much alike to most any other contemporary Sony phone, the Xperia C pays homage to its OmniBalance design roots, inheriting both the good and the bad. Said otherwise, you're getting the typical rectangular slab, though the Japanese company knows a thing or two about making these look great, almost premium. Unfortunately, Sony's signature thick bezels are also present, and the device is quite large, but curiously – still smaller than the Xperia Z1 flagship. 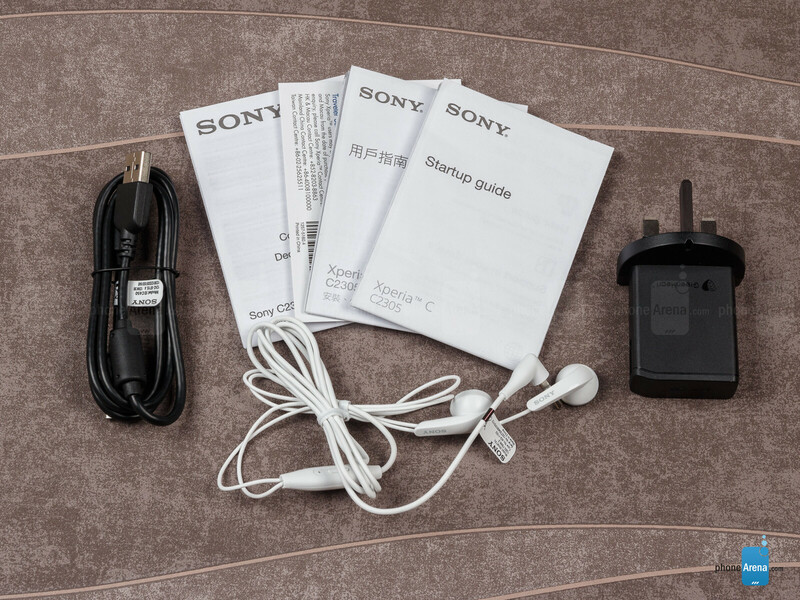 The front of the phone houses the standard – the earpiece in the top middle, with the front-facing camera and ambient light sensor hugging the top right portion. Somewhat unconventional, even for Sony, is the speaker-like encasing for the microphone at the bottom. Right above that one is a very minimalistic notification LED light, best described as a strip. Taking a look at the back, it's definitely the better-looking halve, with its matte plastic finish. All hardware buttons have taken a residence on the right profile of the device, and they all have great feedback to them. 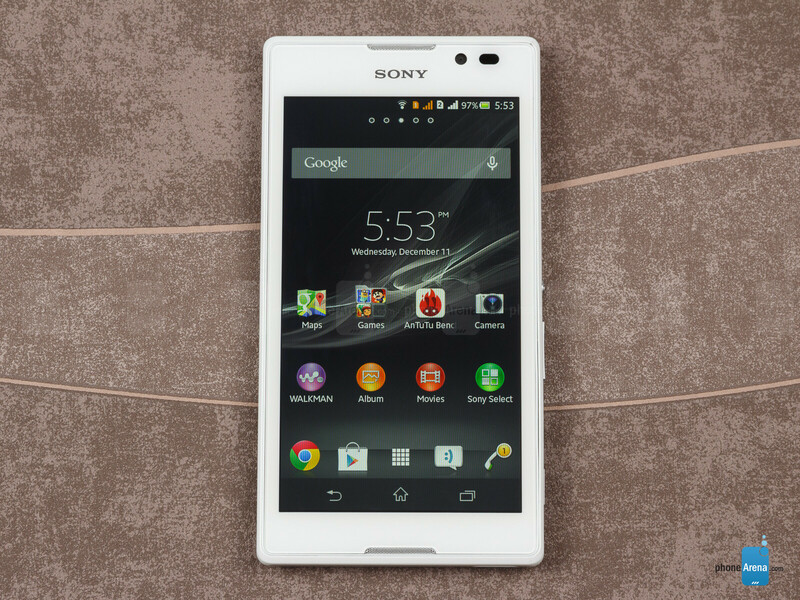 The display on the Sony Xperia C is likely to cause some soul-searching for the pixel nuts among you. You're getting an admittedly underwhelming 5-inch, 540x960 (qHD) TFT LCD panel, or a pixel density of about 220 ppi. This is a long way from a 5-inch 1080p panel, but do keep in mind that you're buying into a budget solution, so you'll simply have to agree to compromise. All said, the display is actually of passable quality and offers an overall proper color reproduction, though there is a barely detectable cyan tint to it and viewing angles are just poor. Moreover, the Xperia C is just a tad too conservative on the brightness when in automatic mode, so you may have to tweak it manually. Perhaps the biggest disappointment with the screen, however, is the complete lack of any protective coating, so you better gear up. Very nice phone for a budget! A very reasonable review and score, finally? Well your wish has come true my brother..
where is your video review? I am waiting for this. When is galaxy grand 2 review coming?? The score is a little higher than id thought it'd be. I guess its not that bad, its just that are much better budget phones. Nice review Chris and good score. Xperia Z phone, This phone is sold as a waterproof phone, beware, I put this phone when it was hot into cold water to show a friend that it is waterproof. This caused a single crack on the screen, the phone is one month old, when I complained , I found out that this was not covered by warranty. Very disappointed.